For the non Brits here, he is currently the Transport Minister, dealing with our wonderful (not!) railway service, assuming he hasnt resigned over Brexit like so many others, lol? Its been a while since I had the misfortune to need to travel on Trans Pennine Express, but today was an LGBT committee meeting in Manchester, so I had to take my chances. I did look at the live departures board before leaving, and it looked like they were failing to provide any form of decent service, and so it proved when I got into Huddersfield. I actually went through the barrier at 9.10, to catch the 9.01 train to Manchester, and I still had to wait more than 5 minutes for that. Oh, and at that point, the 8.52 train still hadnt arrived, and wasnt even due for 10 minutes after the train I caught. The train crawled its way to near Stalybridge before announcing that it was now so late (about 20 minutes) that it was terminating there, and that we could catch the next train to Manchester Piccadilly, which was right behind us. I dont know who told him that, because soon after we all got off, in the freezing cold, it was announced said train was delayed, and they finally admitted it was actually nearly 30 minutes behind us! Fortunately, shrewd commuter syndrome hasnt deserted me, there was a stopping train to another station in Manchester, leaving about 10 minutes later, so I struggled across and got on that. I should have got to the meeting venue about 9.50, I actually got there at 10.28 Luckily I allow for TPE being so awful, so I only entered the meeting room 2 minutes late! Funnily enough, getting home was only slightly better. I arrived at Piccadilly station, after the meeting, at 14.47. Yes, I got the 14.40 train, with ease, which actually left about 14.55! Oh, and what annoys me most, fares are going up by over 3% next month! Not that the other local train company, Northern Rail are any better. I cant remember the last time they actually ran trains on a Saturday due to a strike caused by their obstinacy over an issue with the union, who have the support of the Transport Department! Ah well… At least I have a session in the brainwashing pod, sorry, flotation tank to look forward to on Thursday. Or with luck, not remember it, lol! Even though both today, and tomorrow, there will be no horse racing in the UK, and Ireland, people will still be gambling on many things. Indeed, prior to this century (and possibly the early part of it), betting shops actually shut, not just on Christmas Day, but the 2 days before as well. Nowadays, its just a case of Christmas Day off, and that’s only for retail, and retail related staff, as, to my eyes at least, incredibly there will be people betting on Christmas Day, on events happening in parts of the world where the day isnt celebrated, just because its there, and well, its a chance to win/lose money accordingly. Given my job, I cant say too much, but…I think its a shame, that some people, even on this special day, would rather be punting on some North African football match, than celebrating with their family. The ones I feel most sorry for, are the staff at our office, who have to go in, to cater to these peoples needs! But anyway… Yes, betting shops have been open today, and again tomorrow (tonight until 10.00, tomorrow only until 5.30) to cover foreign racing, dog racing, and a lot of virtual racing, I suspect. Oh, and to play the machines in the offices nowadays as well! Yes, I’m working tomorrow, to cover all the shops needs, on Christmas Eve. I know, I know, in this modern world, everything has to be available 24/7/365, and betting seems to have gone that way, for better, or worse. At least, with the early finish, I can get home before the buses and trains shut down, I suppose I should be grateful for that? Hopefully Santa will be more punctual than Trans Pennine Express at least, that won’t be hard, mind! So anyway, hoping that not too many of my readers will be caught up in the manic crush that is Christmas Eve shopping, though I suspect a few will be, all the same! In closing, may I take this chance to wish all my readers the very best Christmas wishes, and hope they enjoy the holiday period. Just think of me, 1 day off! The video, one of 2 that work for the centenary anniversary of the beginning of WW1 celebrated this year. Mind, then they played football on Christmas Day lol, for all the right reasons! 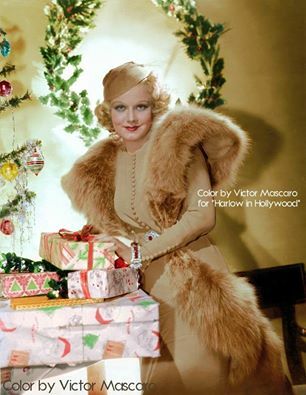 Oh, yes, I promised a couple of Jean Harlow christmas pics, didnt I? thoughts might turn towards what should be a religious festival in just over a months time, but I suspect that for many, the more immediate priority is buying all those Christmas presents for various people! I do hope that on the big day, thoughts do turn to the more important anniversary celebrated on the 25th December, even as if history seems to suggest, its highly unlikely Jesus Christ was actually born on that day, and equally certainly not in the year 1, either BC, or AD lol! Why now, simple, I’m on holiday next week, and thats when I plan to do the little bit of Christmas shopping that I need to do. No, I’m not saying what I will be buying as I know at least one recipient who reads this, and there may be more! The habit I’ve got into, is to go over to Manchester and do my shopping. Why, well there is one person who its easer to buy for from there, though I suspect a trip to York could probably yield the same product. The rest is so generic that I could almost buy it anywhere. So why Manchester? Part of its convenience, the city centre is nicely set out, theres a good shopping centre there, and its not too far to either railway station, a critical ingredient for me. Also, its partly the fact that its a trip in a different direction to the one I make each day to work lol! 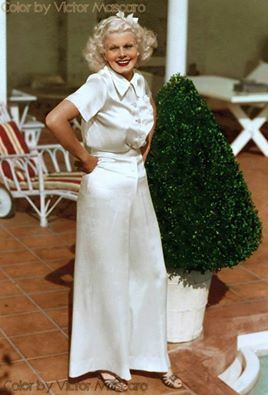 And alright, it gives me a chance to go shopping on my own, and just stroll round, even if I dont actually tend to buy much in the end! Thankfully for me at least, Christmas shopping isnt a major challenge. No family, just a few special friends to buy for, so its not that painful an experience. Of course, it does mean I dont get many presents either, but that I can happily live with, not a big one for fuss in the first place. Thats not to say that if anyone reading this wants to request a present list that I wont send you one lol! Just tell me the budget, I’m sure I can suggest something lol! So if the wealthy owner of a football team is reading this (rolls over laughing at the thought! ), I can think of something more in your bracket as well! 😉 But no, I wont be holding my breath for offers lol! Given this is a posting about Christmas, I’ll haul out a Christmas video (or two, my gift to you), but given that its still (just about) Armistice week, I’ll make them ones that relate to both. Both come from that glorious era when we had proper Christmas records. The first is by an artist some might not know, especially non UK readers, and I know I have some. Jona Lewie didnt have many hits, either as this persona, or his previous one, Terry Dactyl. But this super song, with suitably cynical lyrics given this time just seems so apt. PS, these certainly wont be the last Christmas music videos over the next month or so!